Orlando, Florida, October 31, 2017 – (INTUITION) El Cid Resorts and El Cid Vacations Club will be adding a seventh luxury property in Mexico when it opens the doors to Ventus at Marina El Cid Spa & Beach Resort on November 4th. 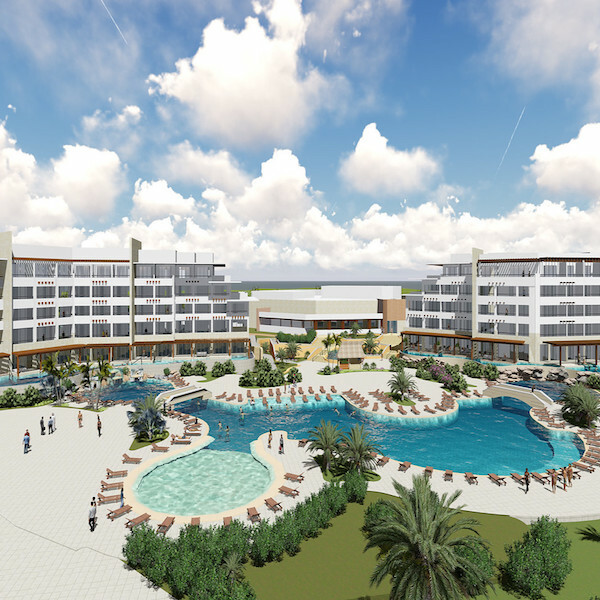 Ventus at Marina El Cid Spa & Beach Resort will join its sister property, Hotel Marina El Cid Spa & Beach Resort as two of the most sought-after resorts in the beautiful Cancun / Riviera Maya region of Mexico. Located on the coast between Playa Del Carmen and Cancun, the Riviera Maya is the perfect backdrop for El Cid’s newest property. Considered one of the world’s top ecotourism destinations, the only word to describe the setting for Ventus at Marina El Cid Spa & Beach Resort is paradise. Situated directly on the beach, El Cid’s latest resort has 290 luxury suites ranging from 575 sq. ft, to an impressive 2,854 sq. ft. with private balconies and swim up suite access. Designed by a team headed by Fernando Berdegué Sacristán, Ventus at Marina El Cid Spa & Beach Resort perfectly captures the wondrous beauty of Puerto Morales and the culture of Riviera Maya. The resort also boasts a 2,088 sq. ft, fitness center, two infinity pools, a 3,675 sq. ft, main pool with children areas and two adult-only Jacuzzis. There are also gourmet eateries that take guests’ taste buds around the globe, a convention center that can accommodate up to 500 guests, five wedding venues, and a 120-slip marina. Ventus guests will also benefit from El Cid’s existing property, Hotel Marina El Cid Spa & Beach Resort, offering even more amenities. Ventus at Marina El Cid Spa & Beach seeks to single-handedly raise the bar in delivering what opulence-seeking travelers demand from a resort vacation. Since 1972, El Cid has provided several generations of guests and their families impeccable service, top notch dining, world-class amenities, and stunning beach-front views at their properties in Cancun, Mazatlán, and Cozumel. El Cid Resorts and El Cid Vacations Club are proud to look towards the future by expanding and serving the needs of vacationers who want nothing but the best.